Diversity and Inclusion are core values and priorities of the University of Washington Bothell. Our work begins with the acceptance and celebration of the differences that are represented through the many diverse and minoritized communities on our campus and in the surrounding community. We recognize that we are bound together in a collective experience and that our actions impact all in our community. When we focus on the lives of the most marginalized groups among us, we also create conditions of equity, justice and academic excellence for everyone. As embodied in our Diversity Action Plan, we are engaged in an ongoing process of identifying and confronting the ways in which institutional and interpersonal discrimination inhibits the lives and education of our students, staff and faculty. UW Bothell supports and protects the safety, security and well-being of all our students, faculty and staff regardless of national origin, immigration status or citizenship. The Diversity Council is an advisory body established to guide the ongoing progress in fulfilling our commitment to diversity. 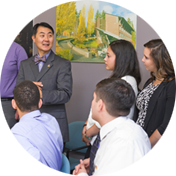 The council is comprised of students, faculty and staff from all areas of the university. Meet the diversity council.